Client Comments like this make all of my hard work worth it! 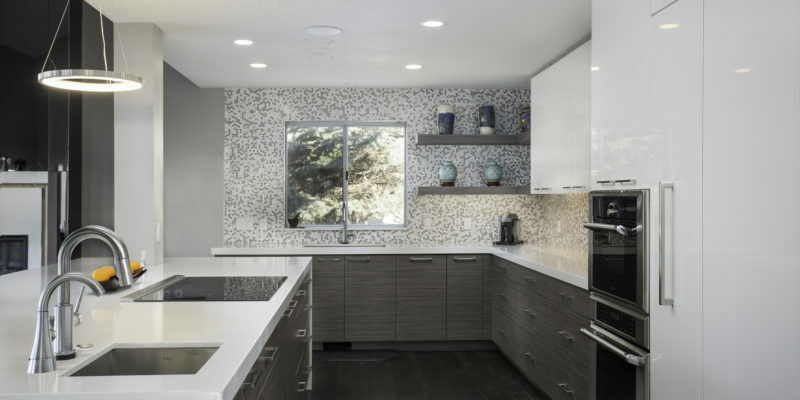 "We recently renovated an entire house and we were lucky enough to find Steve at Peppertree to help us with our kitchen and bathroom cabinets. We love contemporary design and Steve helped us create our dream kitchen and designed our office, laundry, mud room and bathroom cabinets as well. This was a huge undertaking for us and he was extremely patient and reassuring throughout the entire process. If I changed my mind or second guessed myself, he was always willing to listen to my ideas, make changes or give advice. He wanted to make sure that the design was custom for our specific needs and how we were going to use each space. The customer service he and the entire team at Peppertree provided was outstanding. We felt like their most important client every time even though we knew they had clients that spend more on cabinets with them than we did on our entire home renovation! At one point we were over budget and he sat down with us and looked at creative ways we could get back to our budget without losing any functionality or sacrificing the design and look we wanted. If I had to do it all over again I would most definitely go straight to Steve at Peppertree. I highly recommend him and there entire team there. They are the best." 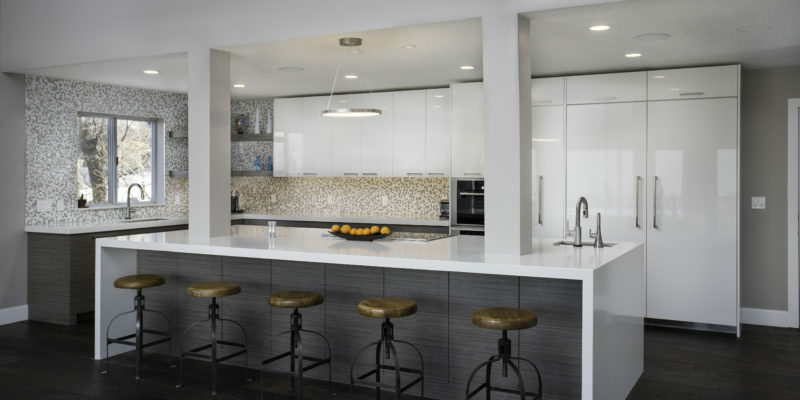 Our goal with this kitchen design was to create a state of the art contemporary kitchen that would be the focal point of this home with room for the family to gather and entertain. 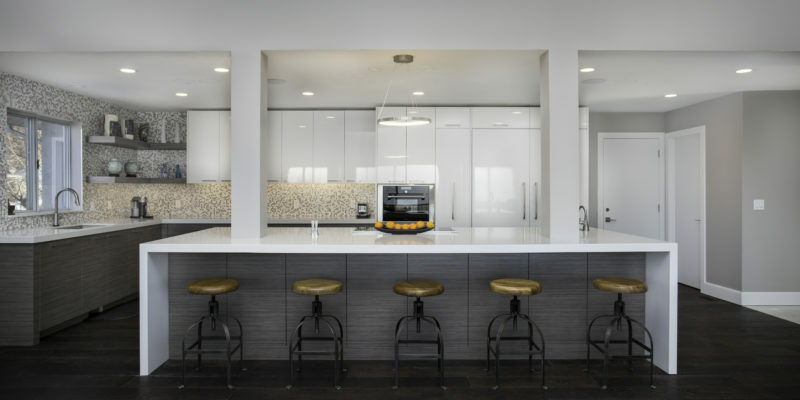 For the base cabinetry we used textured laminate because of its durability, consistent color and the way it fosters horizontally matched grains, we paired it with high-gloss white cabinetry for a stunning look. The floating shelves break up the bulk of the cabinetry and add a contemporary flair.